Elsa, Anna, Olaf and Kristoff have set out on an adventure and must find thier way to Arendelle Castle without getting caught by the Big Bad Snowman! 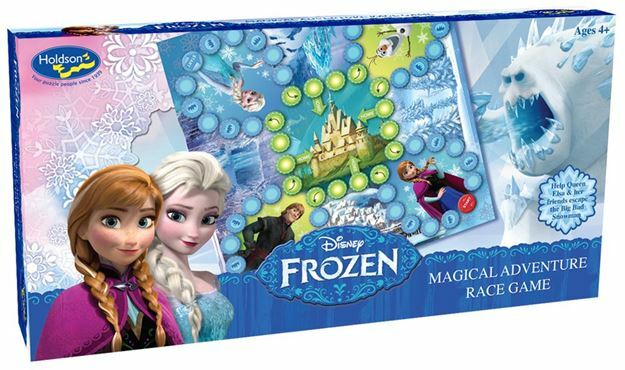 Be the first player to complete the adventure around the board passing the Waterfall, Ice Castle, Forest and Village to reach Arendelle Castle. For 2 to 4 players. Age 4+ years. Made in New Zealand by Holdson.